Is Sugar Busters yet another trendy fad diet to approach with doubt and skepticism? Or, does this popular diet approach hold merit in the world of weight loss and nutrition? As with many diets, there are positives and negatives. Here is an outline of what you can expect from Sugar Busters. The Sugar Busters diet plan originally identified itself as a best-selling book nearly five years ago when in hit the #1 spot on the New York Times Bestseller List. Its newest edition, Sugar Busters: Cut Sugar to Trim Fat, remains a top-selling diet book. This newest version features 18 chapters outlining the basic nuts and bolts of its approach to weight loss and new information on medical studies, clinical trials, methods of averting child obesity, and appetizing recipes. Written by a team of four authors, three of whom are medical doctors, Sugar Busters bases its foundation on the physiological interaction of glucose and insulin, and how these two compounds encourage and discourage changes in a person's weight. The primary concept of Sugar Busters lies within the glycemic index (GI) philosophy. This theory involves the reaction of blood sugar levels, both quantity and rapidity, to the carbohydrates that were eaten within a two hour period. In other words, it is the responsiveness of the body as the carbohydrates hit the bloodstream in the form of glucose. All glycemic indexes of food are compared to the time it takes for pure glucose to affect blood sugar, a standard measure of 100. Thus, the more simple or refined a carbohydrate is, the higher the GI. Foods that test out lower on the 0-100 scale are better choices. Sugar Busters clearly points out that the key to weight loss is to manage insulin secretion via the foods you eat. There are a few reasons lower GI foods are conducive for weight loss efforts. First, lower GI foods do not spike insulin. Insulin is a hormone that is secreted by the pancreas with a poor shut-off switch. Hence, when there is an overabundance of insulin, there is a greater chance of fat being stored because insulin does just that. Secondly, when insulin is lurking in the bloodstream, it is begging for some glucose so it can do its job. You, in the end, are craving that second slice of Italian bread or the extra helping of sorbet. In most cases, these are the extra calories that are causing the weight loss challenge. The fiber and starch content of carbohydrates are directly associated with the GI of a given food. So, rule number one in the Sugar Busters guidebook: when you are looking for beneficial carbs, think fiber-rich foods like vegetables, whole grains, and some fruits. There are also dozens of recipes from top-rated restaurants in the country. You will find dishes such as Cauliflower Leek Potage, Crabmeat Barley Salad, and Mango and Jicama Salad, among others. 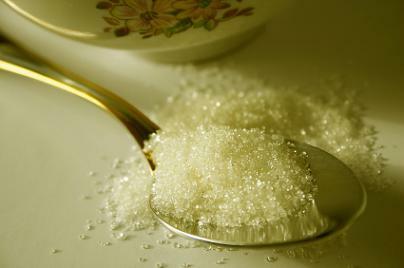 The Sugar Busters authors claim that there are innumerable success stories as a result of adopting their diet approach. They also make it perfectly clear that the program is not a diet, but rather a lifestyle change in eating habits. Without doubt, their formula for success in regards to avoiding simple carbohydrates and adding more fiber is a healthy habit to follow for weight loss and overall health. However, it is important to note that the GI system , although scientifically correct, has been met with some controversy due to the fact that meals are traditionally a blend of macronutrients. Thus, the slice of white bread does not have the same effect when eaten with a bowl of lentil soup.